HAUPPAUGE, NY and NEW YORK, NY--(Marketwired - Jan 6, 2016) - Intelligent Product Solutions (IPS) partnered with AdhereTech to design and develop a "smart" pill bottle that reminds patients to take their medication. The AdhereTech Internet of Things pill bottle is now being used by thousands of patients, through major healthcare providers and pharmaceutical companies. IPS is a leading product design and development firm. To increase medication adherence, the AdhereTech pill bottle can send a text message (to a patient or caregiver), light up, or play a song if patients forget to take their medication. AdhereTech is currently used by many top pharmaceutical companies and hospitals, and these innovative smart bottles improves medication adherence by an average of 20%. For the design of the second generation AdhereTech "smart" pill bottle, AdhereTech worked with IPS to provide a full range of design services from prototype through manufacturing, including mechanical electrical and industrial design. From its first generation pill bottle to the second generation designed by IPS, the AdhereTech pill bottle needed to be an attractive, user-friendly and manufacturable. "We selected IPS as our product design partner because of its full range of product design expertise, and in particular, its expertise in designing wireless products -- our product essentially a pill bottle with the insides of a cell phone," said Josh Stein, CEO and Cofounder of AdhereTech. "IPS helped us to design and build the second generation product, which works globally and can be manufactured at scale. IPS also helped us improve the look and feel of the device, battery life and durability." As part of the design process, IPS worked to create a power efficient design with more than six months of battery life, as the AdhereTech pill bottle needed to exceed a patient's prescription, without requiring battery recharging. In addition to product design, IPS facilitated preliminary regulatory reviews and shepherded the design through FCC regulatory testing. 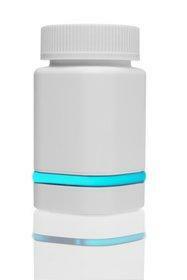 "With the AdhereTech pill bottle, we designed a patient-friendly bottle that is packed with dense electronics, while working with such ease that it doesn't require the patient to connect to Internet, plug it in to charge it, or download any software -- all of that is done automatically," said Mitch Maiman, President and Cofounder of Intelligent Product Solutions. "Working with AdhereTech was a true partnership, and we are thrilled to work with startups such as AdhereTech to help make their design concepts a success." According to Stein, AdhereTech will manufacture more than 10,000 of its second generation "smart" pill bottles in 2016. Intelligent Product Solutions is a leading product development company headquartered in Hauppauge, NY and Seattle. IPS offers expert product design services, including Internet of Things solutions and Wearable Technology design. IPS' fully-integrated capabilities include industrial design, electrical, mechanical and systems engineering, optical engineering, software and firmware engineering, user experience/interface design (UX/UI), program management and marketing. IPS clients are among the brand leaders in consumer electronics, medical devices, enterprise providers, defense contractors, and start-ups. Clients include, Motorola, L3 Communications, PepsiCo, Zebra Technologies and Physio-Control. Based in New York, NY, AdhereTech (AdhereTech.com) is a healthcare technology company that makes patented smart pill bottles to improve medication adherence and patient engagement. The company's innovative solution is easier to set up, use, and distribute than any other adherence tool ever created.